UaRms company has presented new product: ultralight super durable shockproof helmet TOR-D-c (BUMP). Material of the helmet shell (100% carbon) improves its resistant to extreme environmental influences. 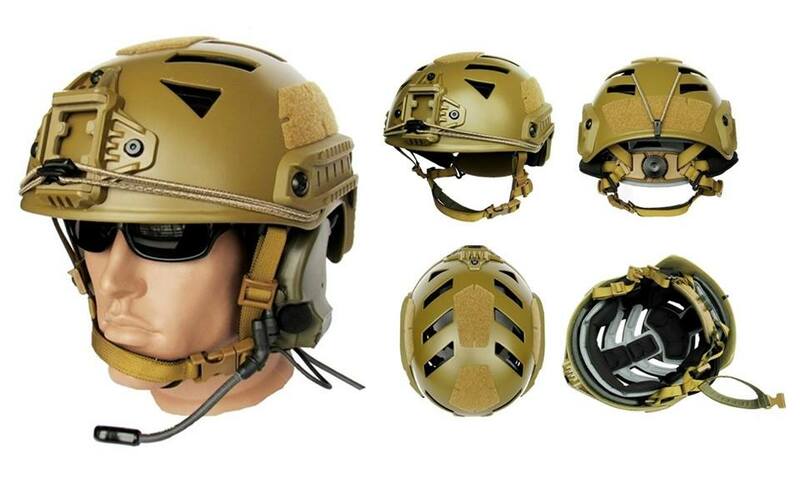 The helmet is equipped with NVG mount which has a special aluminum insert for more tight fitting of the NVG hanger and minimizing its vibrations. Design of the shell with special holes, retention and shock-absorbing system contributes to a head passive ventilation. Compatible with masks and googles, NVG, active headphones, various radio headsets etc. TOR-D-c can be used for training purposes, including parachute jumps, as well as for use by the units of the Emergency and Rescue services, paramedics, etc. Today UaRms, manufacturing division of Ukranian Advanced Research Project Agency UA.RPA​, becomes the leading manufacturer and supplier of innovative solutions for the Defense industry in the segment of composite armor protection and articles of equipment, such as ballistic bulletproof helmets, accessories and fittings for them, that significantly increase personal protection of Ukrainian military forces as well as Global defense ones.